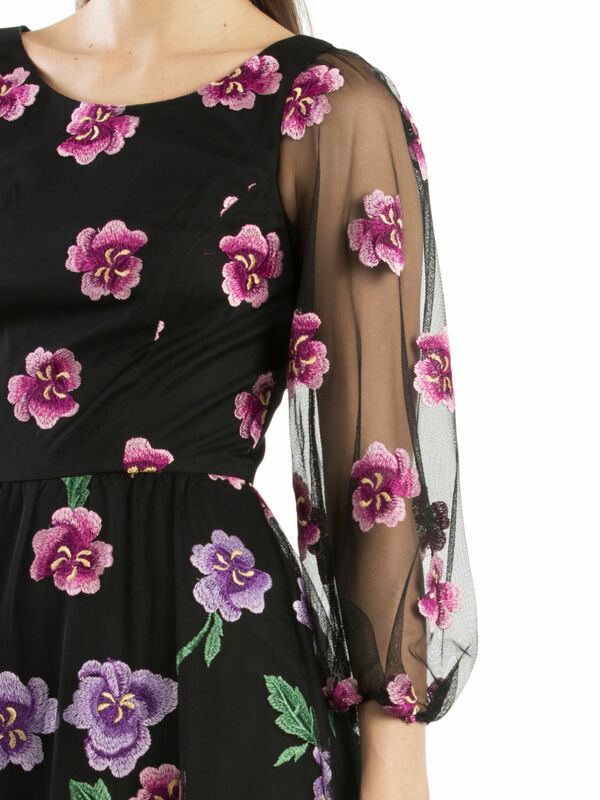 Alexandria Dress https://www.review-australia.com/au/alexandria-dress-black/RE19DR396.REBLK055.html Lilac and lavender flowers embroidered on to delicate mesh layering enchant on this sumptuous, flowing Alexandria Dress. Floral, sheer long sleeves rest over a sleeveless, black body, giving this a feminine flourish, while a layered skirt inspires dreams of whirling the night away. Fitted with a concealed zip. Worn with the Pom-Pom Heels. Lilac and lavender flowers embroidered on to delicate mesh layering enchant on this sumptuous, flowing Alexandria Dress. Floral, sheer long sleeves rest over a sleeveless, black body, giving this a feminine flourish, while a layered skirt inspires dreams of whirling the night away. Fitted with a concealed zip. Alexandria Dress is rated 5.0 out of 5 by 1. Rated 5 out of 5 by JanetEvanston from Pretty and good quality I bought mine 2 weeks ago and Im really happy on the fitting,the quality and the design.I got heaps of compliments from my friends.